You’re always looking out for specials on nappy san! You know you always get dirty and you’re post exercise cleaning will have other mudders envious. You once peed on an electric fence. This type of risk taking is exactly what you need and it will make ‘Electro Shock Therapy’ seam like child’s play. You have an unexplained overwhelming sense of pride when seeing the colour Orange. 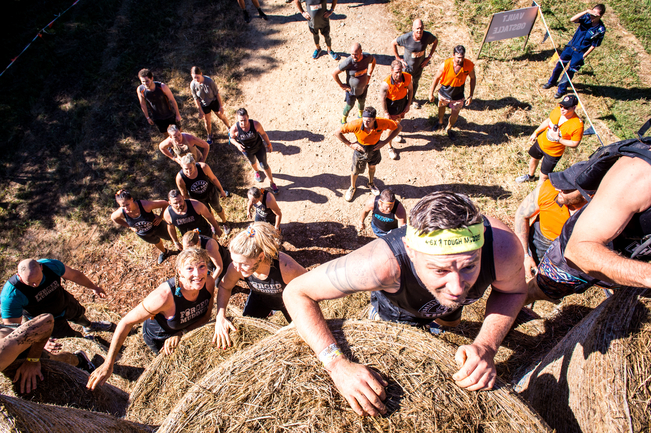 The Orange headband you get when finishing Tough Mudder is what it is all about. Hold your head high and wear it with pride! Every day you check the weather for a chance of Mud. Mud, mud and more mud. Mud is fun! Entertain your inner child and get out and play in the mud again. You’re allowed to! You push kids out of the way (nicely) at the local playground to have a chance on the monkey bars. Simple obstacles like monkey bars should be easy right, when you see ‘Funky Monkey- The Revolution’ all you dreams will come true!